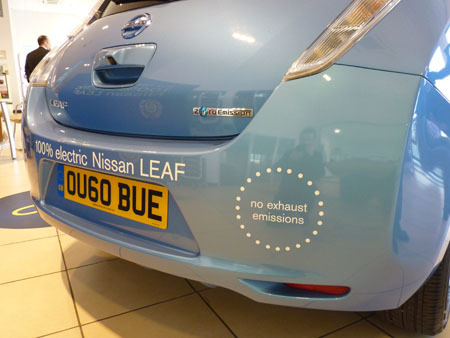 Today our sources on Twitter sent us a tip off that the Nissan EV Tour would be hitting Peterborough for a one day showcase of its flagship EV. Naturally, I had to attend. Having only seen the Leaf in press and promotional pictures I was taken back by how “normal” it looked. 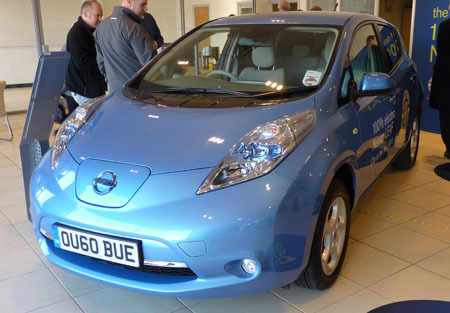 When most people think of electric cars, all manner of images and futuristic shapes come to mind. The Leaf seemed some what underwhelming, but maybe that’s it’s trump card. Without the foot high stickers on the side, many people would mistake it for just another smart family size car. Sitting in the car, I was however taken back by the dash. An array of lights and electronic gauges detail the car’s speed, range and information presented in a futuristic but not over the top. Interior space was a big surprise. With the batteries located firmly in the floor pan, I expected head room to be cramped but it felt light and airy with room for 3 adults on the rear bench. 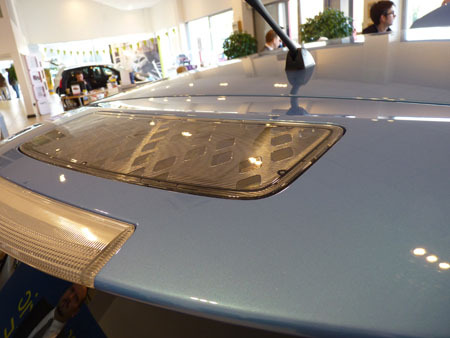 I was also informed that the low down position of the cells ensures that the car has a nice low centre of gravity, a very goof idea considering they are packing a few pounds. The boot has been slightly more compromised by the battery configuration however its still boasts more than in my little Fabia. Overall, I was impressed by Nissan’s EV offering. 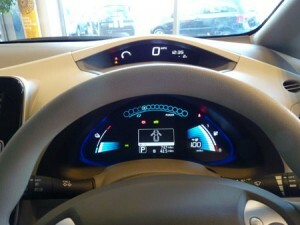 Techie enough to keep the EV enthusiasts happy but not overly “in your face” so as to put off normal buyers. 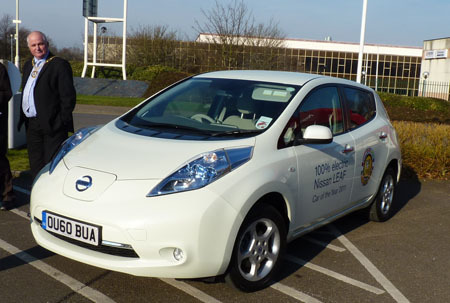 My only criticism was that I was too late to book my test drive as all the slots had been filled, although I am assured that in March when their demo unit arrives I shall be have my chance to pilot my first ever EV.